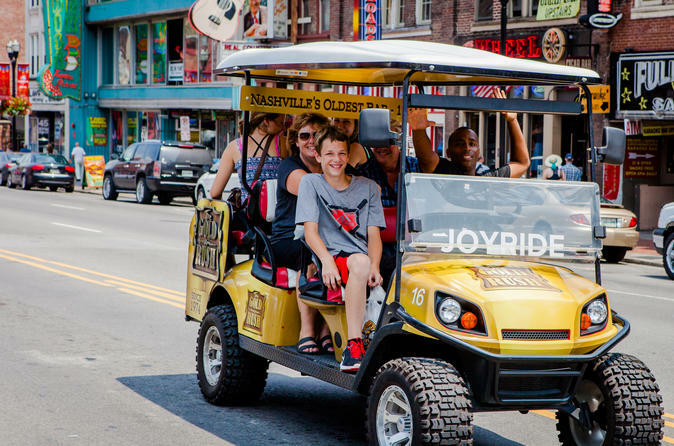 Explore Nashville and travel the city streets in our most unique ride. Learn some historical facts of the Music City, see several celebrity homes, and popular local hot-spots while you explore over 35 sightseeing locations. This is the only tour that allows you to see, touch and smell your way through Nashville. You will enjoy the hustle and bustle from an incredible vantage point. We offer curated tours for each visitor and provide you with a fun, unique, and memorable experience. Photo opportunities are given at several stops and tours last about 1 hour and 30 minutes. This tour has something for everyone in open air low speed vehicles. You will be the hit of on lookers as we cruise by. If you are visiting or just want to learn more about the “IT” city-ride Nashville is your chance.